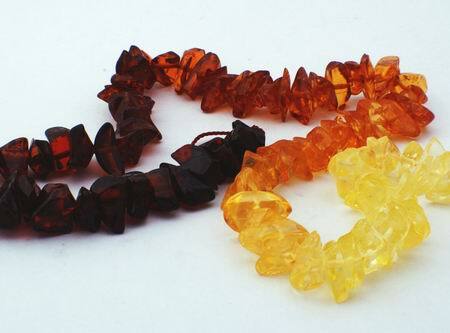 Sorry, we are currently sold out of 'Enchanting Graduated 3-Tone Amber Chip Beads - 17-inch string'. Please check back later. Price is per strand of about 17-inches - largest chip measures about 13mm x 6mm x 4mm. Graduated shades from dark to light. Last String!